I have several pounds of bronze powder which has not been used since before WW2. Are there any uses for it other than gilding picture frames etc? I thought of mixing it with epoxy resin as a filler to take up wear. Re: Uses for Bronze Powder? Mix it with a little dry-powder flux, and use it as brazing spelter. Most bronze alloys have a fairly low melting point, so ideal for sweated joints on brass, where you don't want to get things too hot and risk sagging the job. Thank you but this powder was definitely not for melting or spraying. The owner( died 1939 before WW2) was a master in glazing, sign writing and employed 50 staff. I still have some of his coloured bronzes as well as some gold leaf left. Oddly, he was a sort of relative to the real Alice in Wonderland and John Dobson, the Newcastle architect. Dobson designed Newcastle Central Railway Station as well. That makes me feel better about some of the stuff I have lying around that hasn't been used for years. I'd guess you could mix it with varnish to make metallic paint. If it's been lying around that long without a use you could always weigh it in. I think that I should go for the original uses and get some rabbits' tails and do up a few 'Old Masters'. Clearing out my Portakabin this morning prior to it's re-roofing I came across the Rototec metalising gun that would lay your powder down a treat for shaft or bearing recovery. I did see a warning somewhere that dental gold would test at 24k using the common acid tests. 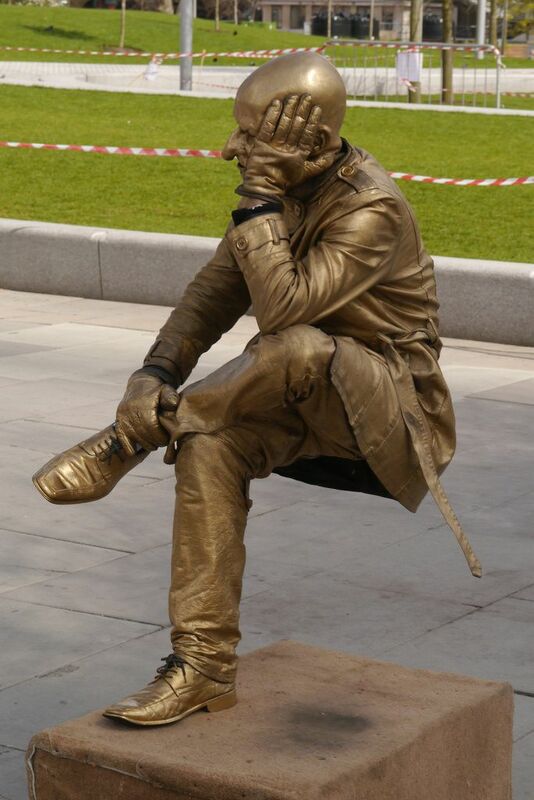 The gold alloy was recast many years ago- by my late wife who was a FRCS(Edin) and a Dip.Orth. RCS(Eng)-- amongst a lot of other things like a BA, a Dip.Mus-- and sort of knew an odd thing or two- like playing a Bari sax and a classical clarinet and piano. Not necessarily together , of course. Norm, DON’T sneeze in the box again. Only them that knows their own nose, knows. or would you have "everything that glisters is not gold'?